Gold stocks have outperformed the market throughout 2016 as gold prices keep climbing. 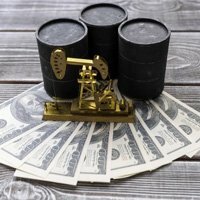 And according to Money Morning Resource Investing Specialist Peter Krauth, there are three major reasons gold stocks remain a buy for the rest of 2016. Gold prices today (Tuesday) rose again, climbing $4.40, or 0.36%, to $1,214.50 an ounce. The rebound today came after two straight days of losses for gold. Last week, gold prices hit a one-year high of $1,260.60 an ounce as investors piled into safe-haven investments. Mounting concerns about the health of the global economy sparked panicked stock selling. The Dow ended the week down 1.43%, while DJ Europe closed the week with a 4.2% loss. Gold stocks and prices have also benefitted from the growing number of central banks that have implemented negative interest rates. Japan on Tuesday launched negative interest rates, joining Austria, the European Central Bank, Denmark, Germany, the Netherlands, and Switzerland. Sweden's Riksbank – the world's oldest central bank – reduced its rate further Thursday. Riksbank trimmed its main repurchase rate to -0.5% from -0.35%. The central bank added it still has the capacity to drop the rate further if needed. U.S. Federal Reserve Chairwoman Janet Yellen also scared investors last week when she told Congress in her semiannual testimony that the Fed would study whether negative rates could be used in the United States. Now another interest rate hike from the Federal Reserve in the near term is looking much less likely. Forecasts for higher U.S. rates were a key factor pushing gold prices down 10% last year. Things are different this year, with gold prices up nearly 15% year to date. "I've been saying for some time that the U.S. Federal Reserve would be unable to follow through on its promises to raise rates at an aggressive pace," Krauth said. "Given how stocks have reacted over the past month, the markets are coming to this same conclusion." Bullish wagers on gold stocks spiked last week, and institutional investors led the way. Investors bought 30,000 May 118 SPDR Gold Trust (NYSE Arca: GLD) calls and 21,000 May 117 calls, according to data from Susquehanna Financial Group. Also purchased were 50,000 February 117 calls and 25,000 April 117 calls. Gold-backed exchange-traded funds (ETFs), meanwhile, are reporting their biggest inflows in more than a year. And gold mining stocks are among this year's top performers. Barrick Gold Corp. (NYSE: ABX), the world's larger gold miner by output, is up 60% year to date. Newmont Mining Corp. (NYSE: NEM) is up 38.38%. Kinross Gold Corp. (NYSE: KGC) is up 64%, and Harmony Gold Mining Co. (NYSE ADR: HMY) is up a whopping 180%. The dollar rally is losing momentum. "After rising by an astounding 25% against its peers between mid-2014 until last month, the U.S. Dollar Index (USDX) is showing signs of cracking," Krauth explains. "And now that the market is no longer buying the Fed's aggressive rate hike forecast, Fed officials are 'talking down' the dollar since it's hurting U.S. multinationals' profits." The bear market in metals is looking tired, and gold stocks are cheap relative to physical gold. "With the current bear now at 50 months, odds are increasing that the bottom in gold is well behind us at this point," Krauth said. Gold stocks are still very cheap relative to gold on a historical basis. These three reasons, on top of climbing gold prices, all make gold stocks an excellent investment in 2016. 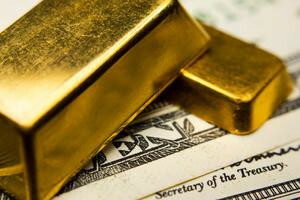 Now, here's where Michael Lewitt buys his gold… As central banks destroy the value of paper money, investors could experience one of the biggest market collapses anyone has ever seen: the Super Crash. And when that happens, gold will be the last currency standing. In his 2016 Gold Briefing, Michael Lewitt shows you his favorite gold miners, ETFs, and physical gold dealers, plus tips on when and how to buy. Click here to access Michael Lewitt's free special report now and to receive his twice-weekly Sure Money.